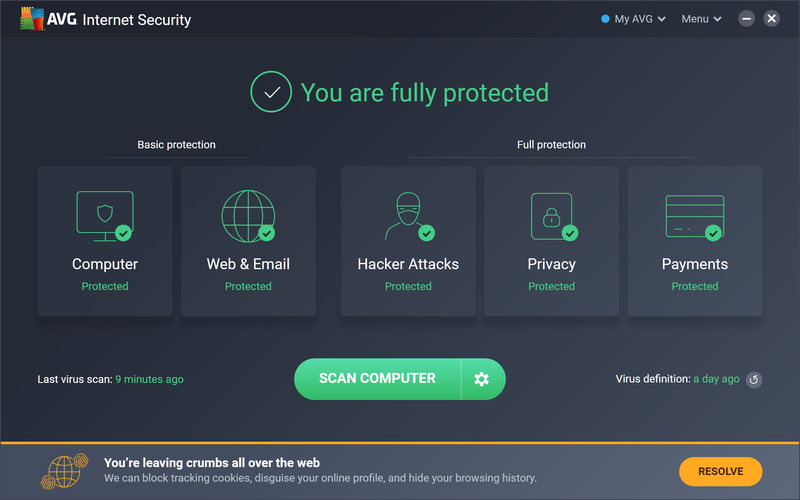 AVG Internet Security 2019 is a capable security suite which employs a range of technologies to protect your PC from dangers, both on and offline. 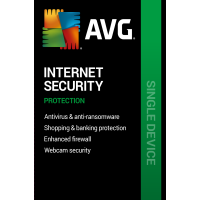 AVG's antivirus engine is the core of package, always monitoring the files you access, your downloads, email attachments and more, detecting and removing malware before it can cause any damage. The suite also includes a firewall, which protects you from network attacks and monitors running programs to make sure malware can't "phone home". A spam filter guards your Inbox, keeping junk and phishing emails safely out of sight. Browsing protection blocks access to dangerous links, which should reduce the chance of you accessing malware in the first place. Behaviour monitoring watches your software closely, looking out for suspicious actions. And there's a handy bonus feature in a file encryption tool, which makes it easy to password-protect all your most confidential documents. Despite the lengthy feature list, AVG Internet Security is supremely easy to use. Panels like "Web", "Email" and "Firewall" show your current security status in each area; clicking any of these gives you access to their various settings, and you're able to launch a scan in a click or two. The trial version supplied here will always provide you with the very latest AVG Internet Security 2016 build.